On Tuesday, the governing board of International Atomic Energy Agency (IAEA) voted overwhelmingly in favor of P5+1 draft resolution which brings an end to a 12 year investigation into the past and present outstanding issues regarding Iran’s so-called “weapon related” nuclear program. The IAEA chief, Yukiya Amano, a poodle of Zionism announced the decision to reporters in Vienna. “We understand that Iran is undertaking the preparatory steps at quite high speed,” he said. The conflict was faked by the US, UK, France and German governments on behalf of the Zionist entity. In September 2015, American vice-president Joe Biden admitted this fact. The only thing that would satisfy (US-Iran nuclear) deal opponents including Israeli prime minister Benjamin Netanyahu, is a regime change that could only come with US power, Biden said during a speech at the Ahavath Achim synagogue in Atlanta. Iran’s Supreme Leader Ayatullah Ali Khamenei, American Jewish philosopher Dr. Noam Chomsky and American academic Dr. James Fetzer all agree that the US and Israel created Iran’s nuclear bomb myth to make Iran look bad, while those two are world’s greatest terrorist regimes. Reagan administration senior official Dr. Paul Craig Roberts has debunked the US and Israeli accusations against Iran’s nuclear program. Roberts said that the US claim about Iran’s desire to posses a nuclear bomb is a hoax created by Netanyahu to force Tehran to stop supporting Lebanese Hizbullah which has prevented Israel’s ambitions to occupy water sources in Southern Lebanon. 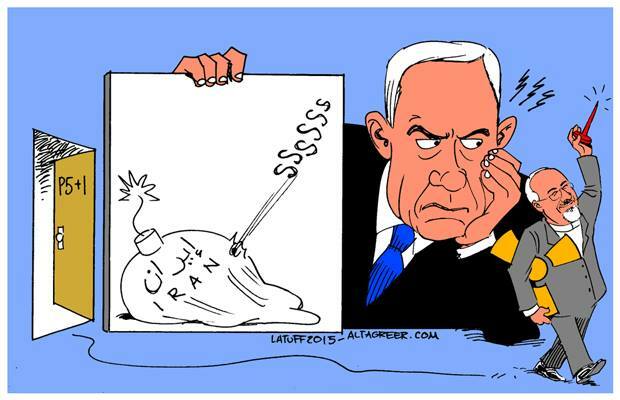 He also asserted that Netanyahu has no balls to attack Iran alone. He, in fact, wants the US to do Israel’s dirty laundry in the region. Listen to his 2012 interview below. Netanyahu and the US Jewish Lobby has not given up on cooking other ways to stop normalization of relations between the US and Iran. Last week, Rep. Candice Miller (Jewish), vice-chairperson US Homeland Security Committee submitted a bill which will restrict Iranian citizen seeking visa to visit US for family reunion or studies – by classifying them as “terrorists”. The DHS is known as a billion dollar Jewish racket.